Section GG: What's it All About? Beginning October 1, 2016 skilled nursing centers will be required to report information to CMS for the SNF Quality Reporting Program required under IMPACT (Improving Medicare Post-Acute Care Transformation) Act of 2014. Section GG item set for self-care and mobility will be added to MDS 3.0 and required to complete on the PPS 5 day and PPS Part a Discharge Assessments. Information from Section GG will be used to calculate the standardized measure of Percent of Residents With an Admission and Discharge Functional Assessment and a Care Plan That Addresses Function” (NQF #2631). This measure reports the percentage of residents with both an Admission and a Discharge functional assessment and an activity (self-care or mobility) goal that addresses function. Section GG items focus on admission performance, discharge goals and discharge performance. CMS has not specified who should complete Section GG, but has emphasized the importance of collaboration among members of the interdisciplinary team. Final direction and guidance on coding Section GG has not been released yet from CMS, however AHCA has developed a two-page introduction to Section GG with a section on what you can do to prepare for Section GG. For more information and resources, visit the AHCA website here. AHCA/NCAL just released a new resource for assisted living members on LTC Trend Tracker. This one-pager explains what LTC Trend Tracker is and how your assisted living community can utilize it as a tool for quality improvement. LTC Trend Tracker enables your assisted living community to benchmark metrics against your peers and gives you access to data for your AHCA/NCAL Quality Award application. LTC Trend Tracker is an exclusive AHCA/NCAL member benefit. Sign-up and get started tracking key quality metrics today! Last night at the Democratic National Convention DNC, Hillary Clinton made history as the first ever female presidential nominee for a major party when she was named the nominee for the Democratic Party. Also announced was Clinton’s running mate, Virginia Senator, Tim Kaine. Kaine will be introduced at a campaign rally on Saturday in Miami. Speakers at the DNC so far have included former President Bill Clinton, and First Lady Michelle Obama. Hillary Clinton will not speak until Thursday when she will deliver her greatly anticipated presidential nomination speech, introduced by her daughter, Chelsea (similar to Trump’s introduction by daughter Ivanka). Until then, we can look forward to President Obama and Vice President Joe Biden who are scheduled to speak this evening. On July 20, 2016, the Center for Health Care Strategies, Inc. published a new brief, “State Trends in the Delivery of Medicaid Long-Term Services and Supports.” As many states are now shifting their focus to expand the reach and effectiveness of their managed long-term services and supports (MLTSS) programs, this brief summarizes insights and trends from seven selected states (Arizona, California, Kansas, Minnesota, New Jersey, Tennessee, and Texas). One key finding highlights state and federal policymakers’ emphasis on addressing supportive housing needs as a critical component for safety keeping individuals in the community. The brief provides examples of efforts by states to dedicate Medicaid resources to establish strong housing and MLTSS program linkages and requiring health plans to do the same, among other efforts. In an article published today in The Journal of the American Dental Association (JADA), experts from the Centers for Disease Control and Prevention (CDC) and the Organization for Safety, Asepsis and Prevention (OSAP) provide best practices for responsible antibiotic use in dentistry. Dentists write nearly 26 million prescriptions for antibiotics each year, which amounts to 10 percent of all antibiotic prescriptions filled in outpatient pharmacies. While the extent is unknown, experts are concerned that unnecessary antibiotic prescribing occurs in dental settings. To assist throughout the entire antibiotic prescribing process, CDC and OSAP have developed a checklist to guide dentists through pretreatment, prescribing, and patient and staff education. Patients are encouraged to use the Do’s and Don’ts for ensuring patient safety when they or their loved ones are prescribed antibiotics at the dentist. Are Qualified Candidates Looking At Your Job Announcements? In the last 12 months, each 30-day job posting on the AHCA/NCAL Long Term Care Career Center had an average of 1,485 views. Unlike other job sites that target anyone wanting any job with a paycheck, the Long Term Care Career Center attracts qualified health care professionals interested in positions and careers in the long term care field. Rates for posting job vacancies are affordable and give prospective employers far greater exposure than local ads and job boards by connecting to a network of more than 330 health care organizations and societies. Employers are also able to post vacancies as they occur and search resumes on the network. And, of course, the LTC Career Center is always free for job seekers. Now is the time to give the Long Term Care Career Center a try because new users receive 25% off their first posting. Simply enter promo code New25off to receive this special discounted price. Employers who utilize the site receive additional exposure through rotating job listings on AHCA’s home page – the web site where long term care professionals go for news and information. Employers also receive bonus rotating listings on the Long Term Care Career Center home page. To reach talented health care professionals, check out the LTC Career Center today and remember to enter promo code New25off to save 25% on your first job posting. The U.S. Department of Health and Human Services, Office for Civil Rights (OCR) and the U.S. Federal Trade Commission (FTC) have released a report, Examining Oversight of the Privacy & Security of Health Data Collected by Entities Not Regulated by HIPAA, that finds significant gaps in the Health Insurance Portability and Accountability Act’s (HIPAA) ability to protect information generated by fitness trackers and other mobile apps. Specifically, the report looks at the lack of guidance around access to and protection of consumer health information used by organizations not covered under the current HIPAA regulations. The report indicates that although health privacy and security experts clearly understand where HIPPA protections end, the typical layperson has a very limited understanding about this matter. The federal government plans to seek additional stakeholder input on this topic in the near future. CMS, Center for Program Integrity (CPI) has recently updated its Nursing Home Toolkit, which contains booklets and fact sheets written for providers and beneficiaries that participate in the Medicaid program. Specifically, the toolkit aimed at the providers contains information about common types of fraud in the nursing care center environment. The booklet and fact sheet aimed at beneficiaries includes information concerning eligibility and admission criteria, and resident rights and quality of care. Any questions about the toolkit can be directed to Medicaid Provider Education. lowering the quality of care. “Competitive insurance markets are essential to providing Americans the affordable and high-quality healthcare they deserve….These mergers would restrict competition for health insurance products sold in markets across the country and would give tremendous power over the nation’s health insurance industry to just three large companies. Our actions seeks to preserve competition that keeps premiums down and drives insurers to collaborate with doctors and hospitals to provide better healthcare for all Americans,” said The DOJ, Attorney General, Loretta Lynch. The nation’s best assisted living employees this year come from Colorado, Maine, New Jersey, and Virginia. Today, the National Center for Assisted Living (NCAL) announced the recipients of the 2016 NCAL Awards Program, which recognizes caregivers in four distinct categories who demonstrate exceptional work in the assisted living profession. The four categories of the NCAL Awards Program are administrator, nurse, noble caregiver, and National Assisted Living Week® program of the year. 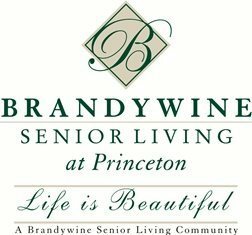 National Assisted Living Week Program of the Year: Brandywine Senior Living Princeton in Princeton, New Jersey. 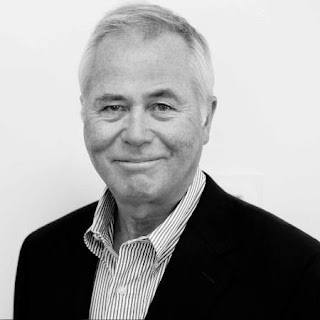 As the executive director of Aspen House Memory Care Assisted Living, Jerome has demonstrated a unique commitment to promoting and offering a person-centered care environment. With 40 residents living with dementia, Jerome focuses on exhausting every alternative before seeking medicinal intervention when a resident presents challenging behaviors. She also researches each resident’s personal history to discern preferences and interests. The respect that Jerome has earned among her stuff is what has contributed to the community’s 30 percent reduction in staff turnover. 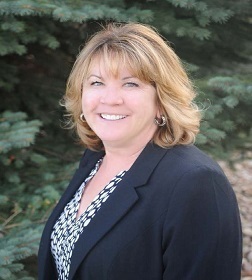 NCAL’s state affiliate, the Colorado Health Care Association, named Jerome Administrator of the Year in 2014. She also currently serves on the NCAL Board of Directors as an at-large representative. Lavigne is the residential care director for the Maine Veterans’ Home at Machias, a 30-bed memory care assisted living community in the Pine Tree State. Her desire to learn and implement new evidence-based practices has prompted culture change, improved resident safety, and increased resident and family satisfaction. One area in which her leadership has improved the lives of residents is the dramatic reduction in the off-label use of antipsychotics. Some of the changes Lavigne implemented were as simple as decreasing noises from alarms and call bell systems as well as offering more ambient lighting, which improved residents’ sleep and reduced wandering. Lavigne also worked with nursing staff to offer residents iPods with their favorite music and adult coloring classes in the afternoon when many residents experience sundowning symptoms. In 2015, Maine Veterans’ Home named her employee of the year. 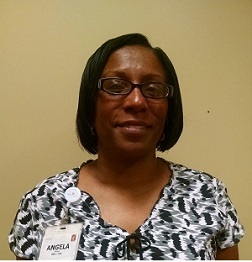 Humes has worked at Dogwood Village Senior Living for 35 years as a certified nurse assistant and registered medication aide. Her passion to care for her residents is evident by her intimate knowledge of their preferences and ability to anticipate their needs. On her days off, Humes volunteers by taking residents to their appointments, shopping, or out for their birthdays. Her coworkers consider her positive energy, effective communication skills, and devotion to teamwork to be a real motivator. She is frequently asked to mentor new employees and consistently assumes responsibility to assure the best quality care practices are in place for residents. Dogwood Village says that when residents pass away, the community often receives notes from residents’ loved ones, thanking Humes for going above. The staff members of Brandywine Senior Living Princeton created an enriching National Assisted Living Week® for its residents, seamlessly capturing the 2015 theme “Nourishing Life: Mind, Body and Spirit.” The week was chockfull of unique events organized by the community, including a Tai chi demonstration right in the heart of downtown Princeton, an intergenerational event with first grade students and baby farm animals, and wellness checkups with the community’s nursing and therapy staff. The Brandywine community also brought in service dogs to demonstrate the benefits of pet therapy and a held fundraiser for the Princeton Parkinson’s Alliance. Perhaps most notably, residents and staff members participated in a video to the tune of Maroon 5’s “Sugar,” which was featured on the local news. The award winners will be recognized Oct. 16, 2016, at a special awards ceremony during the 10th Annual NCAL Day, held as part of the 67th Annual AHCA/NCAL Annual Convention & Expo. 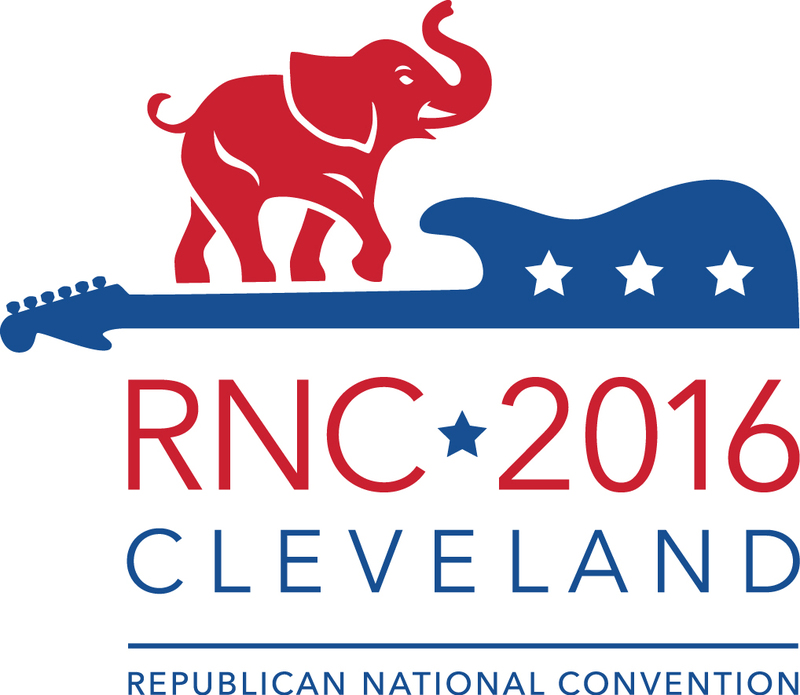 Conservatives from across the country are gathering in Cleveland, Ohio this week for the Republican National Convention, where the party will confirm both its platform and its presidential nominee. Activities started Monday with a lively vote on the convention rules, where some states rallied against the committee’s initial move to adopt a measure that would bind delegates to vote the way their state voted. The measure, however, was ultimately passed with a voice vote. 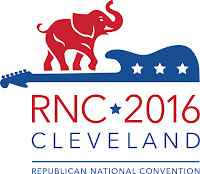 Speakers on the first night included presumed presidential nominee Donald Trump’s wife, Melania; former director of the Defense Intelligence Agency and former vice presidential hopeful, Lt. Gen. Michael T. Flynn; and Joni Ernst, a freshman senator from Iowa and fast-rising star in the party. The second night of events featured a cast of well-known faces in Republican circles, including Speaker of the House Paul Ryan, House Majority Leader Kevin McCarthy, and Senate Majority Leader Mitch McConnell. Mr. Trump will have various surrogates speak throughout the convention and is expected to give the closing keynote on Thursday after his official nomination as the party’s candidate for president. Mr. Trump already announced last week that he will select Indiana Gov. Mike Pence as his running mate. The Democratic Party will have its convention next week, where Sec. Hillary Clinton will receive her party’s nomination. The Clinton campaign has suggested that Clinton will make her vice presidential announcement this Friday, following the Republican Convention. A new tax tip from the Internal Revenue Service (IRS) reminds employers that the size and structure of their workforces determine which part of the health care law applies to their workforces. Work forces typically fluctuate, so it’s important to annually determine the size of your workforce. The number of employees an employer has during the current year determines whether a business is an applicable large employer for the following year. Applicable large employers are generally those with 50 or more full-time employees, including full-time equivalents. Employers with fewer than 50 full-time employees, including full-time equivalents, are not applicable large employers. That workforce size distinction makes a dramatic difference on the employer requirements under the Affordable Care Act. For more information about those differences, see the new IRS tax tip. Concerned about rising employee health benefit costs? Know that AHCA/NCAL members are saving money on their employee health benefit programs through AHCA/NCAL Insurance Solutions. One not-for-profit member is saving more than $2,100 annually per employee. AHCA/NCAL Insurance Solutions may be able to save you money too. For more information about health plan options available through AHCA/NCAL Insurance Solutions, contact Dave Kyllo at 202-898-6312 or Nick Cianci at (202-898-2841) or email us at ahcainsurancesolutions@ahca.org. The National Center for Assisted Living (NCAL) has named Thomas Reddy of Nevada to its Board of Directors as an at-large representative. Reddy is the president of TR Development, offering independent owners and municipalities in-depth management and leadership services for the development of senior housing, assisted living communities and nursing centers. He was appointed by NCAL Board Chairman Chris Mason to fill an open seat vacated earlier this year. With more than 35 years of long term care experience, Reddy owns or manages seven assisted living communities and nursing centers located in Kansas and Nebraska. Three of those communities are owned by the Vintage Group, which is considered a pioneer in developing the modern assisted living concept in the Sunflower State. Previously, Reddy was the founder and owner of Vintage Park where he oversaw the development, construction and management of 10 new assisted living communities. Leadership at the national level is nothing new to Reddy. He once served on the Board of Governors for the American Health Care Association—NCAL’s sister organization—as its independent owner representative, among other roles. Additionally, he is a former board chairman of the Kansas Health Care Association. This Friday, July 22 is the final day to register for the AHCA/NCAL 67th Annual Convention & Expo at the early bird rate. Online registration is quick and easy so don’t wait any longer. Get the maximum savings when you register at the early bird rate. Advance registration rates will apply after Friday. Take a look at what we have in store for you October 16-19 in this easy-to-read AHCA/NCAL Convention & Expo Preliminary Program. We hope you will join us in Nashville. Some of the other topics covered in the guidance include understanding ransomware and how it works; spotting the signs of ransomware; implementing security incident responses; mitigating the consequences of ransomware; and the importance of contingency planning and data backup. The guidance makes clear that a ransomware attack usually results in a “breach” of healthcare information under the HIPAA reach notification rule. Under the rule, and as noted in the guidance, entities experiencing a breach of unsecure PHI must notify individuals whose information is involved in the breach, HHS, and, in some cases, the media, unless the entity can demonstrate (and document) that there is a “low probability” that the information was compromised. By way of background, ransomware is a type of malware (malicious software) that encrypts data with a key known only to the hacker and makes the data inaccessible to authorized users. After the data is encrypted, the hacker demands that authorized users pay a ransom (usually in a cryptocurrency such as Bitcoin to maintain anonymity) in order to obtain a key to decrypt the data. Ransomware frequently infects devices and systems through spam, phishing messages, websites, and email attachments and enters the computer when a user clicks on the malicious link or opens the attachment. Entities need to take steps to safeguard their data from ransomware attacks. HIPAA covered entities and business associates are required to develop and implement security incident procedures and response and reporting processes that are reasonable and appropriate to respond to malware and other security incidents. 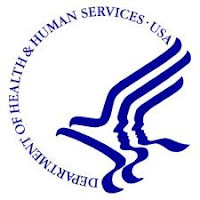 Health and Human Services, Office for Civil Rights (OCR) has announced that Phase II of its Health Insurance Portability and Accountability Act (HIPAA), which began a couple of months ago, has “officially kicked into high gear.” Selected HIPAA covered entities have already received notification letters about their inclusion in the desk audit portion of the audit program. Letters were delivered on Monday, July 11, 2016, via email, to 167 health plans, providers and clearinghouses. The desk audits will examine the selected entities HIPAA compliance with the privacy, security and breach notification rules. The audits focus on these issues because in a previous pilot program, and in OCR enforcement, noncompliance with these rules has been identified. Entities have 10 business days, until July 22, 2016, to respond to the document requests. Desk audits of business associates (BAs) will occur in the fall. Mark your calendar for the American Health Lawyers Association (AHLA), Long Term Care (LTC) and the Law scheduled for February 22-24, 2017, at the Manchester Grand Hyatt, in San Diego, CA. This is the premier event for LTC and post-acute care providers to learn more about regulatory, legislative and legal matters affecting our profession. AHCA/NCAL’s constituency education program for Intellectual and Developmental Disabilities (ID/DD) providers will be held on Tuesday, October 18, in Nashville, TN, and is packed with motivational and educational speakers. The keynote speaker, John O’Leary, was a curious nine-year-old boy. Playing with fire and gasoline, he created a massive explosion in his garage and was burned on 100% of his body. Given less than 1% chance of survival, John is proof of the power of the human spirit. 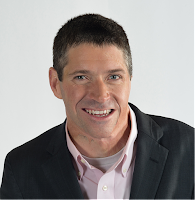 Using his life story as a backdrop, John will inspire you to take back your life, see the abundant possibility within your professional and personal challenges, and change the world. Participants will also have the opportunity to hear from other top-notch speakers. More information about this day and where to register can be found here. If you have any questions, contact AHCA’s Senior Director of Not for Profit & Constituent Services, Dana Halvorson. The American Health Care Association and National Center for Assisted Living (AHCA/NCAL) and CMA are part of the Observation Stays Coalition consisting of several national provider and patient advocacy organizations who advocate on the Improving Access to Medicare Coverage Act (S. 843/H.R. 1571). This legislation would count a patient’s time in observation toward the three-day hospital inpatient stay requirement. To learn more about this issue and the Coalition, please visit the Observation Stays page on the AHCA/NCAL website. There are a lot of things to know about the AHCA/NCAL National Quality Award Program. For instance, that it is based on the Baldrige Criteria for Performance Excellence and organizations that follow these criteria are more successful than national comparisons. Below are seven things that you should know about the Quality Award Program. Our research shows that Silver and Gold recipients have better outcomes in quality performance metrics, Five-Star ratings, and business outcomes. Check out the new Quality Award Fast Facts here. Applicants do not have to wait until the fall to start working on the Quality Award applications. In fact, organizations can always be working in implementing changes in their organization so that they can meet the demands of the criteria. Check out our Why wait, start now! blog post for more information on what you can do today to start or continue your Quality Award journey. The Quality Award Program is not just for skilled nursing care centers; the criteria are equally applicable to assisted living communities. The criteria are designed to help any organization reach performance excellence by focusing on their strengths and addressing their opportunities for improvement. Still skeptical, just take a look at our 141 Bronze and 9 Silver assisted living Quality Award recipients from 2016. Sometimes it takes a center more than one try to achieve an award level and that is okay! The Quality Award Program is a continuous performance improvement journey. So, an organization may have to take a break and address their opportunities for improvement after receiving one level of achievement before they proceed to the next level of recognition. This is all part of the journey so don’t get discouraged if you don’t get to the Gold in three years. Application packets for the 2017 cycle will be published here on August 2nd, 2016. Stay tuned! If you’ve a achieved a Bronze or Silver award, you have three years to apply for the next award level (Silver or Gold) before being designated as a “past recipient”! Be sure to check out the recertification policy here. Quality Award staff is always available and willing to respond to member questions. The best way to contact us is via email at qualityaward@ahca.org. We are here to help you join the ranks of the over 4,000 Quality Award recipients! The Centers for Medicare & Medicaid Services (CMS) reported yesterday that starting on July 27 at 10 AM ET the Quality Measure (QM) component of the Five-Star Rating System will reflect five of the six new QMs that are currently featured on Nursing Home Compare (NHC). In March the agency announced this and other changes. For a summary of that presentation and a list of the new measures, click here. The five new QMs will be phased in between July 2016 and January 2017. In July 2016, they will have 50 percent of the weight of the current measures. In January 2017, they will have the same weight as the current measures. - Using four quarters of data rather than three for determining QM ratings. - Reducing the minimum denominator for all measures (short-stay, long-stay, and claims-based) to 20 summed across four quarters. - Revising the imputation methodology for QMs with low denominators meeting specific criteria. A facility's own available data will be used and the state average will be used to reach the minimum denominator. - Using national cut points for assigning points for the ADL QM rather than state- specific thresholds. The Association recommends member centers review the guide for more details. In addition, the agency is making changes to the CASPER provider preview report. The revised report will incorporate the new measures, display updated star ratings, and include a new column that shows the points assigned to each QM for a better understanding of the quality rating. All skilled nursing care centers will have access to their preview reports through the QIES System by the end of next week. The MDS coordinator at your center will know how to access the report. On Thursday, July 28 at 3 PM ET, AHCA will host a members-only webinar to walk through these changes and answer questions. Please register here. In the meantime, members should continue to take steps to prepare for these upcoming changes. Resources, including the updated Technical User's Guide and instructions on how to access the QIES system, are available on the members-only Five-Star ahcancalED website here. The AHCA Quality Initiative website here, along with blog posts here and here, provide additional tips and resources. The Senate postponed a much-anticipated bill this week in the face of a shortened legislative calendar and inter-party fighting. Health, Education, Labor & Pensions (HELP) Committee Chairman Lamar Alexander (R-TN) confirmed Monday that the 21st Century Cures package will not move on the Senate floor until after the summer recess. Many expected delays in the legislation after it had a quick start, passing on the floor of the House this year. The bill makes broad changes to several health policy areas, including funding for the National Institutes of Health (NIH), medical devices, telehealth, and expanded Medicaid and Medicare coverage of certain health-related expenditures. The HELP committee’s companion legislation to the House-passed Cures bill has been delayed for months in negotiations over billions in additional funding for NIH. Given fights between Republicans and Democrats on much smaller sums to address major political priorities such as Zika and the opioid epidemic, there is little to suggest there will be a breakthrough. Congress attempted to pass a slew of voter-oriented legislation, such as funding to slow the Zika virus, bills addressing opioid abuse, and mental health care reform, but disagreements between both parties on content and the sequencing of priorities has left lawmakers with little to show for the summer session. Debates over gun violence and a “sit-in” led by Democrats on the House floor did little to relieve the intra-party tensions. A congested calendar is also working against pragmatic lawmakers. Congress will adjourn next week for the Republican and Democratic conventions, where the parties will officially nominate their presidential candidates. The conventions will be followed by a month-long recess for the month of August, leaving members of Congress with less than a week left to wrap up business before returning to a busy September schedule. Along with Cures, Congress will also like to wrap up business on Zika, opioid, and mental health bills. Both chambers will also need to appropriate government funding and authorize FAA spending before the end of the fiscal year on October 1. “[T]here's no excuse for us not finishing our work in September,” Alexander said in a statement. Administrators, directors and nurses interested in quality dementia care are encouraged to register for a facilitated intensive training session led by national CARES® expert, Debbie Richman. You will learn how to implement the CMS- and AHCA/NCAL-recommended CARES® online training program within your organization. At the end of the training session, attendees will be eligible for individual Alzheimer’s Association essentiALZ certification. This is a unique opportunity to complete the CARES® Dementia Basics curriculum and learn about the training tools, techniques, and activities to implement the CARES® Approach to care within your organization utilizing the CARES® Classroom Guide™ for Administrators and Educators. As an added bonus, attendees also will receive a complimentary copy of the CARES® Classroom Guide™ for Administrators and Educators (CARES® Dementia Basics version) – a $199.95 value. The CARES® content includes video examples and interviews of real people living with dementia, their families, professional caregivers, and dementia experts (no actors). In addition, this session will offer unique networking opportunities to learn from your dementia care colleagues from across the nation. The CARES® Dementia Basics Training will be held on Sunday, October 16 from 9 a.m. to 4 p.m. and is a separate ticketed event. The registration fee for this special intensive training is only $149.95. Click here to register for the 67th annual AHCA/NCAL Convention and Expo in Nashville, Oct. 16 – 19. AHCA/NCAL’s constituency education program for NFP providers will be held on Tuesday, October 18, in Nashville, TN, and is packed with motivational and educational speakers. The keynote speaker, John O’Leary (pictured), was a curious nine-year-old boy. Playing with fire and gasoline, he created a massive explosion in his garage and was burned on 100 percent of his body. Given a less than 1 percent chance of survival, John is proof of the power of the human spirit. Using his fire story as a backdrop, John will inspire you to take back your life, see the abundant possibility within your professional and personal challenges, and change the world. Participants will also have the opportunity to hear from other top-notch speakers. More information about this day and where to register can be found here. Please contact AHCA’s Senior Director of Not for Profit & Constituent Services, Dana Halvorson, with any questions. On July 7, the Centers for Medicare and Medicaid Services (CMS) released its physician fee schedule proposed rule. CMS will accept comments on the proposed rule until September 6, 2016, and will respond to comments in a final rule. For more information about observation stays and the three-day stay requirement, please visit AHCA/NCAL. Last week, the Department of Veterans Affairs (VA), released a notice in the Federal Register that updates the Cost-Based and Interagency billing rates for medical care or services provided by the VA that apply in certain circumstances. The rates set forth in the notice are effective July 7, 2016, and include nursing home care rates per day. The full notice, along with the rates, can be found here. The early bird registration deadline for the AHCA/NCAL 67th Annual Convention & Expo ends next Friday! Register now and get the maximum savings on your registration package. Find out about all the Convention & Expo registration packages and choose the one that meets your needs. 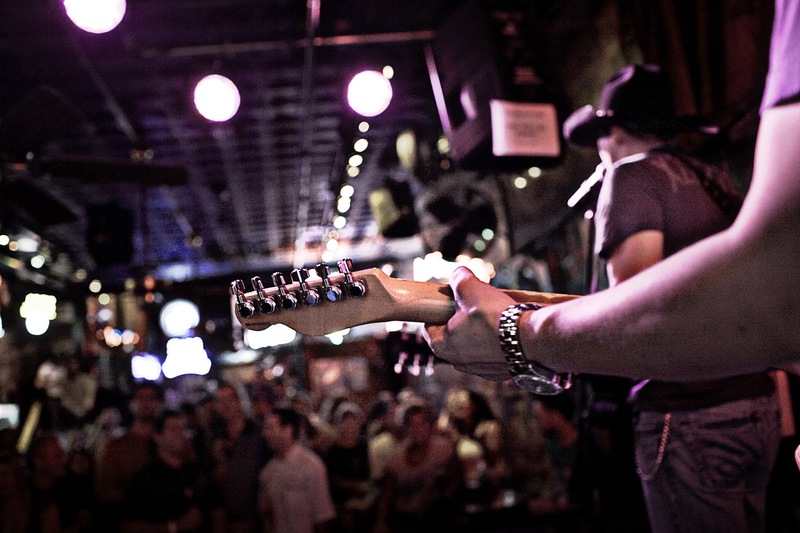 Join your colleagues in Nashville at the long term and post-acute care event of the year. Great speakers, incredible educational opportunities, and priceless networking all in an unbeatable location - you don't want to miss it. Registration fees increase after July 22, so don’t wait any longer. The U.S. Department of Health and Human Services, Centers for Medicare & Medicaid Services (CMS), recently announced its launch of the newly updated CMS Administrative Simplification website. The new website features content on topics such as the Health Insurance and Accountability Act, Affordable Care Act, Transactions, Code Sets, operating rules, unique identifiers and enforcement. Subscribe to the Administrative Simplification Email Update for the latest updates. The U.S. Department of Health and Human Services (HHS), Centers for Medicare & Medicaid Services (CMS) has released a proposed rule that would make changes to the Medicare appeals process for payment and coverage determinations, Medicare beneficiary enrollment, entitlement determinations, and certain Medicare premium appeals. Specifically, CMS proposes additional administrative actions to expand the pool of available OMHA adjudicators, increase decision-making consistency among the levels of appeal, and improve efficiency by streamlining the appeals process so adjudicators and parties spend less time on repetitive issues and procedural matters. AHCA plans to submit formal comments, which are due on August 29, 2016, and welcomes comments and feedback from the membership. The U.S. Department of Justice (DOJ) and the U.S. Department of Health, Office of Inspector General (OIG) have recently announced the largest health care fraud takedown in history. Approximately 300 defendants in 36 judicial districts were charged with participating in fraud schemes involving approximately $900 million in false billings to the Medicare and Medicaid programs. According to the DOJ press release, the accused parties were charged with various health care fraud-related crimes, including conspiracy to commit health care fraud, anti-kickback statute violations, money laundering and aggravated identity theft. The charges are based on a variety of alleged fraud schemes involving various medical treatments and services, including home health care, psychotherapy, physical and occupational therapy, durable medical equipment (DME), and prescription drugs. More than 60 individuals were arrested on fraud charges related to the Medicare prescription drug benefit program (e.g., Medicare, Part D). The OIG has released a fact sheet about the takedown, describing the scope, schemes, use of data analytics and administrative enforcement actions. The U.S. Department of Health and Human Services, Centers for Medicare & Medicaid (CMS) Contractor, TMF Health Quality Institute, has developed peer group charts for the SNF PEPPER target areas. These include location, ownership type, and size (number of episodes). For each target area, the charts display the target area percent that is at the 80th, 50th and 20th percentile for each peer group category for episodes ending in fiscal year 2015 (October 1, 2014 through September 30, 2015). SNFs can compare their Q4 FY15 target area percent (from their PEPPER) for the target area to the peer group subcategory they consider most similar to their facility. A document describing the methodology used to develop the peer groups and a listing of all SNFs and their peer group classification also are available on the data page of PEPPERresources.org under the “SNF” tab. These resources will be updated annually. The U.S. Department of Justice (DOJ) has released an interim final rule announcing that it will increase the minimum per-claim penalty under the False Claims Act (FCA) from $5,500 to $10,781, and the maximum per-claim penalty from $11,000 to $21,563. These adjusted amounts apply only to civil money penalties (CMPs) assessed after August 1, 2016, and where violations occurred after November 2, 2015. As background, this announcement has been expected ever since the Railroad Retirement Board updated FCA penalties in accordance with the passage of the Bipartisan Budget Act of 2015. The U.S. Department of Health and Human Services, Office of Inspector General (OIG) has released its updated List of Excluded Individuals and Entities (LEIE) database file, which reflects all OIG exclusions and reinstatement actions up to, and including, those taken in June 2016. This new file is meant to replace the updated LEIE database file available for download last month. Individuals and entities that have been reinstated to the federal health care programs are not included in this file. The updated files are posted on OIG’s website, and healthcare providers have an “affirmative duty” to check to ensure that excluded individuals are not working in their facilities or face significant fines. Instructional videos explaining how to use the online database and the downloadable files are available here. Given the penalties and recent government warnings, long term care providers should check the LEIE on a regular basis. In 2014, the AHCA/NCAL National Quality Award Program implemented a recertification policy that impacts ALL current and previous recipients. Under this policy, Bronze and Silver Quality Award recipients have three years to apply for the next award level (Silver or Gold) before being designated as a “past recipient” of the award. As a past recipient, an organization must reapply at the Bronze level if they decide to participate in the program again. The complete recertification policy and Frequently Asked Questions are available on the Quality Award website here. It is important to note that all recipients who achieved their awards in or before 2014 have until 2017 to apply to the next level award. The purpose of the policy is to maintain the integrity of the program, embrace new standards of care, and promote continued growth of member organizations on the quality journey. For more information on the benefits of the program, click here. For more details, check out the new Quality Award Fast Facts here. So, why wait? Start the Quality Award journey today and chart your course to superior business outcomes. The AHCA/NCAL National Quality Award Program is designed to encourage continuous learning and help members attain performance excellence. The Program is based on the Baldrige Criteria for Performance Excellence that utilizes a systematic approach to organizational performance and focuses on leadership, strategic planning, staff empowerment and engagement, and customer focus. The result of following this systematic approach to excellence leads to superior performance outcomes. As always, feel free to email any questions to Quality Award staff at qualityaward@ahca.org. The Centers for Disease Control and Prevention (CDC) is collaborating with the Food and Drug Administration (FDA), multiple state and local health departments, and numerous healthcare facilities to investigate a multi-state outbreak of Burkholderia cepacia infections. These infections have occurred primarily in ventilated patients without cystic fibrosis and who are being treated in intensive care units. Preliminary information indicates that a contaminated liquid docusate product might be related to cases in one state. Until more information is available, the CDC recommends that facilities not use any liquid docusate products for patients who are critically ill, ventilated, or immunosuppressed. Institutions with non-cystic fibrosis patients in whom there are B. cepacia infections should sequester all liquid docusate products. Healthcare providers and laboratories should be on alert for B. cepacia cases occurring among non-cystic fibrosis patients and should inform infection prevention staff when these infections occur. Cases should be reported to state or local public health authorities. To date, 47 B. cepacia complex cases have been confirmed by molecular typing to match one of two outbreak strain types identified from healthcare facilities in five states. Reports of possible cases from additional states are currently being investigated. The CDC has confirmed that two samples of unused oral liquid docusate product received from one of the affected hospitals have tested positive for B. cepacia complex. Further testing is being conducted to determine if bacteria from these samples match the outbreak strains. The FDA is currently testing multiple liquid docusate products that are epidemiologically linked to reported B. cepacia complex cases. To date, the CDC has confirmed one product as having B. cepacia complex growth; however, because of epidemiologic links, the CDC is concerned about potential contamination of multiple liquid docusate products, pending FDA’s ongoing investigation of shared ingredients in the products in question. The Centers for Medicare and Medicaid Services (CMS) recently released MLN Matters article #MM9712 intended for Skilled Nursing Facilities (SNFs) submitting claims to Medicare Administrative Contractors (MACs) for services provided to Medicare beneficiaries paid under the Skilled Nursing Facility (SNF) Prospective Payment System (PPS). The article summarizes Change Request (CR) 9712 that announces the availability of the payment rates used under the PPS for SNFs for Fiscal Year (FY) 2017, effective October 1, 2016, as required by statute. Make sure that your billing staffs are aware of these changes. The first webinar in the Quality Initiative series, Reducing Rehospitalization: Practical Strategies for Success will be narrated by Dr. David Gifford. Hospital readmissions can have a huge impact on skilled nursing facilities. It affects payment, five star ratings, your access to participation in preferred networks and your quality measures. In these changing times, to be competitive, you must have a low readmission rate. Dr. David Gifford (“Giff") will provide Centers with all the strategies and tactics they will need to reduce rehospitalizations. Not only that, but additional supporting information will be available to participants on ahcancalED. Register today to gain access to the most pertinent and useful resources and information. The entire 8 part series provides in-depth instruction and strategies to help members effectively meet impending payment and regulatory changes. It is designed with the intent of helping members succeed in the midst of change by providing insights into the changes, specific strategies that can be adopted by centers, and a comprehensive array of tools and resources. Each session will include a live webcast as well as supplemental materials to help members take action on the topic. These will be posted and available on ahcancalED. Additionally, each session will include a community discussion where members can post questions and ideas. The Senate Special Committee on Aging held a hearing last week focusing on how to best promote person-centered care for those living with serious illnesses. The committee focused on how providers can make patients the most comfortable while still providing high quality care. Testifying at the hearing was Dr. Atul Gawande, best-selling author, executive director of the Ariadne Labs, and a professor at both Harvard School of Public Health and Harvard Medical School; Dr. Kate Lally, Chief of Palliative Care at Care New England Health System; and Amy Berman, Senior Program Officer at the John A. Hartford Foundation. Dr. Gawande emphasized the necessity of closing the gaps of coordination between care providers, especially for those with serious illness or receiving end-of-life care. He said that having more in depth conversations about these services and creating a system that allows for better coordination of services is critical for patients to receive the highest quality of care. Committee Chairwoman Susan Collins (R-Maine) recalled a story of a close friend who received end-of-life care at a home-like setting and expressed concern that such opportunities are not available to most Americans due to lapses in the way Medicare incentives care. Committee member Senator Sheldon Whitehouse (D-R.I.) also brought up concerns with the way payment systems are created, noting that current structures do not do enough to promote quality care over volume. Sen. Whitehouse introduced a bill during the hearing to alleviate some of the problems he identified within the current Medicare payment system. The bill, titled: “Person- Centered Care Act,” aims to streamline regulations and allow providers to better coordinate care and find the right setting for patients with serious illness. The bill also seeks to alleviate the “three-day stay” rule, which requires patients to have spent three days in a hospital to quality for Medicare coverage of skilled nursing care. The American Health Care Association is still reviewing Sen. Whitehouse’s legislation and appreciates his support of increasing access to skilled nursing facilities for patients in need. 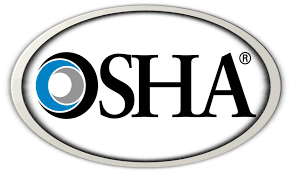 On or before July 1, 2016, OSHA was required to adjust civil penalties for violations of safety and health standards as a direct result of the Bipartisan Budget Act of 2015. The maximum penalties will be adjusted on an annual basis for inflation based on the Consumer Price Index. Additionally, states that operate their own occupational safety and health programs will be required to be raise their maximum penalty amounts to align with Federal OSHA. 15% Discount on IHI Virtual Training! The Institute for Healthcare Improvement (IHI) is offering a 15% discount to AHCA members for its SNF Trigger Tool virtual training beginning on August 10. Participants of this training will learn how to efficiently use the IHI SNF Trigger Tool, which can be used to identify patient harm and to measure the effectiveness of safety improvements to reduce adverse events. The fee associated with the virtual training covers six sessions of learning that can be enjoyed by multiple individuals at one location on scheduled dates in August, September and October. AHCA members must register by visiting the IHI website here and using the code ACHA15. To learn more click here. Stand Out From Your Competition: Credential Your RNs! Whether seeking to participate in an Accountable Care Organization or Managed Care Organization or attract referrals from the local hospital, providers need to demonstrate that their health care expertise and services are better than the competition. The AHCA/NCAL Gero Nurse Prep program is an important step toward demonstrating your company’s geriatric nursing expertise. This unique program prepares RNs for the American Nurses Credentialing Center board certification test in gerontological nursing. Board certification (RN-BC) is the gold standard for demonstrating clinical excellence in geriatric patient care. Less than one percent of nurses have this prestigious credentialing, so investing in this program can give providers a competitive edge when negotiating with ACOs, MCOs and hospitals. Gero Nurse Prep is also a smart and effective use of training dollars. Gero Nurse Prep Alums can boast a 96% pass rate on the ANCC gerontological nursing certification exam. RNs can study on their own schedules and earn 30 CEUs by completing the program. The total cost for Gero Nurse Prep and the ANCC certification exam is less than $1,100 per RN. This small investment can position your facility to be the smart and best choice for long term care in your area. Check out the AHCA/NCAL Gero Nurse Prep program and try a free demo today! The U.S. Department of Labor (DOL) has released a Fact Sheet and Guidance on compliance with its new overtime rule “Final Rule”, which specifically addresses nonprofit organizations. The DOL is concerned that nonprofits are under the impression that Final Rule doesn’t apply to their organization. “Critically, the Fact Sheet raises a number of compliance points for nonprofit employers to use in determining whether and how the new overtime rule does or doesn’t apply to them or their employees,” said Mark Mathison, an attorney with Gray Plant Mooty in Minneapolis, who wrote an article about the issue for Care Providers of Minnesota. The Fact Sheet and Guidance both provide good discussion of compliance options for nonprofit employers. To learn more, visit: Care Providers of Minnesota. 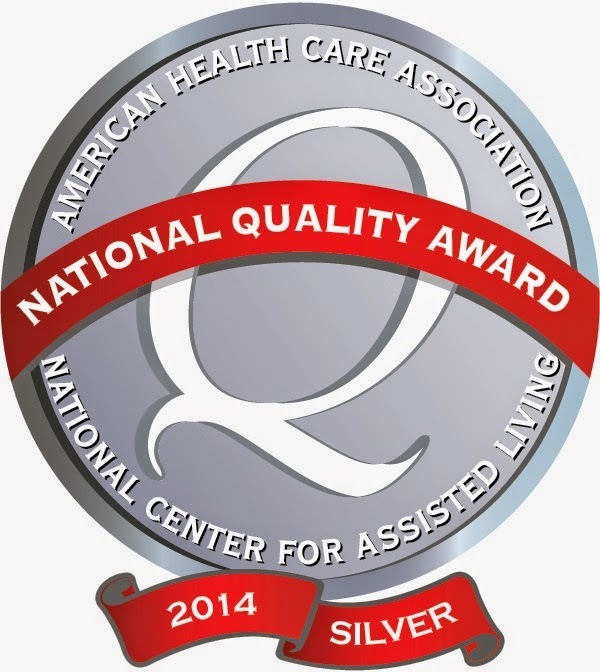 On June 30, AHCA/NCAL announced that 71 long term and post-acute care providers earned the 2016 Silver - Commitment to Quality Award. The award is the second of three distinctions possible through the AHCA/NCAL National Quality Award Program, which recognizes providers across the nation that have demonstrated their commitment to improving quality of care for residents and patients in long term and post-acute care centers and communities. The award is based on the core values and criteria of the nationally recognized Baldrige Performance Excellence Program, the Association’s Quality Award program challenges member providers to achieve performance excellence. At the Silver level, members develop and demonstrate effective approaches that help to improve performance and health care outcomes. 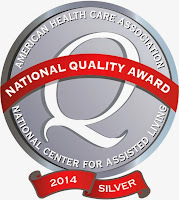 A full list of Silver and Bronze recipients is available on the AHCA/NCAL Quality Award website here. Later this summer, the names of the Gold awards will be announced.